A rooster you say? Yes, the rooster is a symbol of light over darkness and the vigilant of Christ to come. It’s pretty bold for one to wear a rooster on their chest especially for a lady. 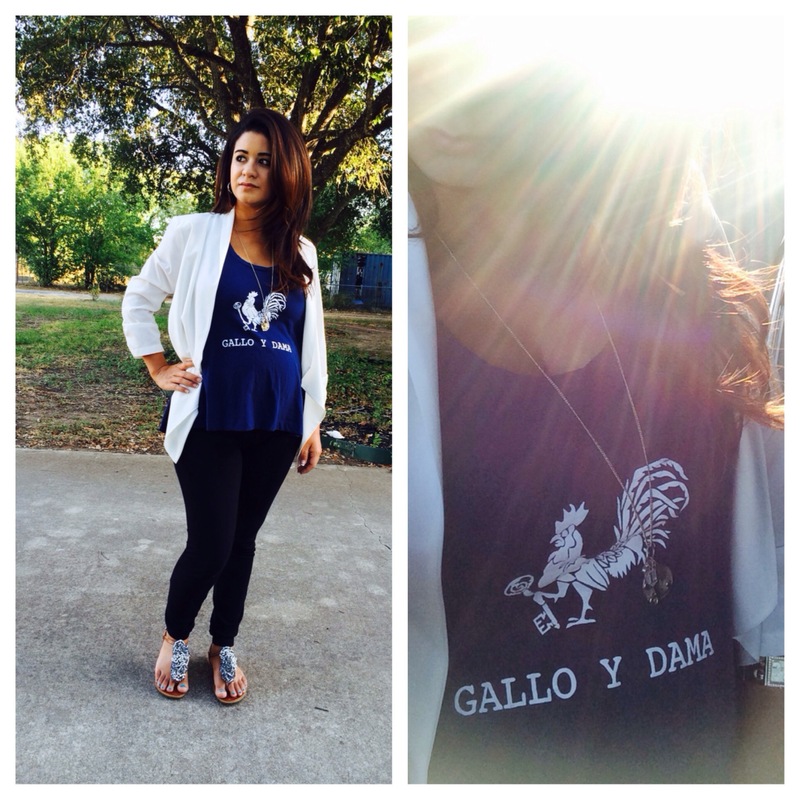 This rooster, Gallo in spanish, is the root of our brand and the fierce fashion representative of our faith. My baby bump is making an appearance and it’s the family values that are important to our mission of Gallo y Dama. Embracing family, faith & fashion are three things my husband & I are passionate about. Navy is a classic color to welcome the brink of fall in combination with the fresh team graphic and white blazer. Do what you love, wear what you love and be what you love!